Sales Shopping – How to do it Successfully! When you are going sales shopping treat it like a military operation and be prepared! Wear comfortable clothes and shoes that you can change in and out of easily. Wear layers that can be removed as the temperature rises but that also allow you some modesty so that you can try on garments without having to queue for the fitting rooms. Carry water and cereal bars to keep your energy up and if possible drive to the shops so that you have somewhere to leave your bargains as you move on to the next store! Be warned – impulse buying during the sales can be a waste of time and money unless you know that the item will fit perfectly into your existing wardrobe. What usually happens is that the impulse purchase sits unworn in your wardrobe for months or even years while you ponder what to wear with it or you have to go and spend more money buying something to go with it!! Sales shopping gives us the opportunity to invest in garments or designers normally outside our price bracket, but don’t be swayed by the discounts – if you don’t wear the garment it will end up being an expensive mistake not a fabulous bargain! Invest in coats, jackets, shoes, boots, bags and cashmere BUT only in styles and colours that suit you and fit into your wardrobe. Avoid anything that is an obvious fashion fad because it is already out of date and if there are lots of a particular style on sale don’t waste your time trying it on because there is obviously something wrong with the fit of the garment!! Can I wear this for approximately 3 years and will it still be acceptable? Can I accessorise it in 3 different ways? Could I wear it to 3 different occasions or events? AND most important of all – does it go with 3 things that I already have in my wardrobe?! Following this mantra had saved me and my clients £1000s over the years! 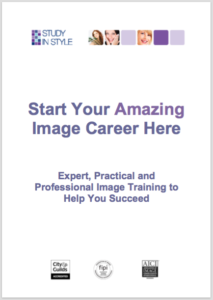 ← What Makes A Successful Image Consultant?